I have not yet known grief, only fear. The special needs community is oftentimes mired in grief. But I am one of the lucky ones. I have witnessed others’ losses, but I do not know what it feels like to lose a child, in or out of the womb; I can only read the writings of those that have been there, that are forever there, and be grateful for their honesty and insight. I imagine grief to feel like defeat. A final losing of the everyday battle against the second law of thermodynamics, that nature inexorably tends towards a state of entropy. Every day, we hold off death. Every day, we potentially save our children’s lives, whether by holding their hand as they cross the road or halving their grapes lengthways lest they should choke. For some of us the threat of death is not just potential but real, visceral and terrifying. An occasional, weekly, or even daily, stomach-churning teeter on the edge of a precipice. An adrenaline rush, a mental and physical battle with everything we’ve got that leaves us spent, exhausted, cold and shaking. Victorious, but full of fear. 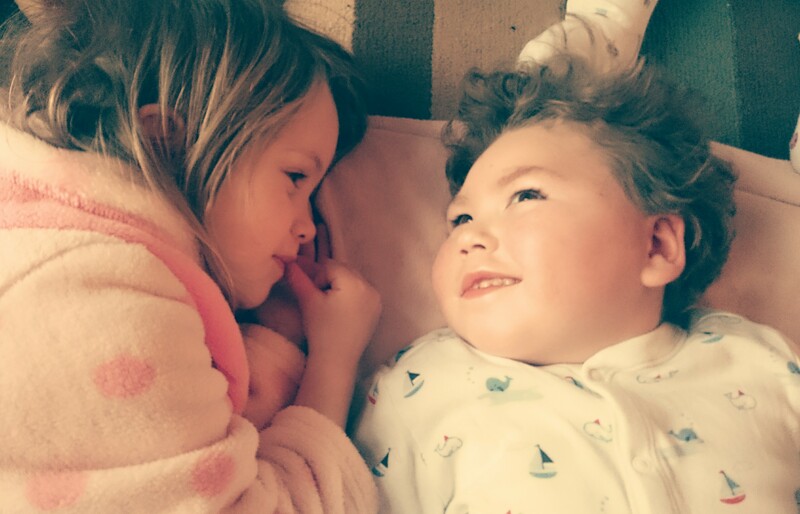 One amazing fellow SWAN mummy and blogger I know has literally to resuscitate her little boy every time he has a seizure – which during a bad patch may be several times a night. When he’s going through a cluster of seizures, she sits up next to him all night, anti-convulsant medications on the one hand, ventilation equipment on the other. I imagine it’s adrenaline – and love – that pulls her through. That pulls her beautiful boy back from the precipice each time to fight another day. I’ve looked over that precipice a few times now, and the view never gets any easier to stomach. Before Benjamin was born; and on the day of his birth; when I’ve held him helplessly in resus as he fitted for hours; when I’ve battled with him against the mucous filling his lungs and choking his airways, my only weapon a slim catheter and a suction machine; when I’ve heard the anaesthetist matter-of-factly report ‘we lost his heartbeat for a while there in theatre,’ and my own heart skips a beat. And although it’s futile, ghoulish, I imagine what grief might feel like to his siblings, who have never known life without him, and to whom mummy can do anything. Utter shock, bewilderment, betrayal. If I let him slip over that precipice I have failed him, and failed them. Is it any wonder I’m fearful, anxious? Not clinically anxious: not an extreme reaction to normal situations (although I know that can be just as terrifying and paralysing), but a normal reaction to an extreme situation. A situation that just keeps on coming. Keeps on coming, until the day I cannot pull hard enough back from the edge. I wonder, if (when) we hit the bottom, what then? Will there be silence? Even relief? Will there be a peace that the fighting is over, for me and for him? Will I rant and rail with anger at the injustice? Will I look up and wish to be back there on the precipice? Just for one more day, one more hour, one more smile, one more kiss? Will I regret living my life in fear? No. Because without fear, without adrenaline, without ‘fight or flight’ the only way off the precipice is down. Because when the fear is gone, then I will know and understand the grief. In some ways it is impossible to look over the precipice. The things we imagine never quite come in the way we envisaged. But you plan – you have to – and part of that is having to look at the if/when. The girls will do well because you are a strong family and they already know much about coping with adversity. The accepted wisdom says that children feel bereavement as acutely but recover much more quickly; it also says – I appreciate your situation is unique – that grief anticipated is already begun (if that makes sense) and so tends to pass more naturally. One aspect will, I am sure, be a part of both now and then – that there are people who live 90 years with barely a day’s illness who have no notion of the love that has surrounded Benjamin from his birth and infused every moment of his day.